Signing a commercial lease is no small commitment, and a potential tenant should take time to evaluate the details. It's better for both the property owner and business owner if everything is entirely transparent. And there are a few things you should always remember to check before you sign. Even if the agreement's terms are explicit and easy to understand, this isn’t a decision to rush into. After all, you’re choosing a location from which to operate a business. Failing to account for some of smaller details of the building itself may cause trouble later on. You’ll need to check repairs and upkeep, connectivity and other considerations which will affect your business’ long-term comfort and convenience. It never hurts to be thorough when you’re evaluating a commercial lease. The business landscape has undergone a digital transformation in the last several decades, and continuous internet connectivity is no longer a luxury. It's a necessity. Potential tenants should question the property owner on the extent of their building's connectivity, beyond basic questions concerning Wi-Fi. Business owners can ask about distributed antenna system networks, for example, which maximize in-building coverage at costs as relatively low rates. 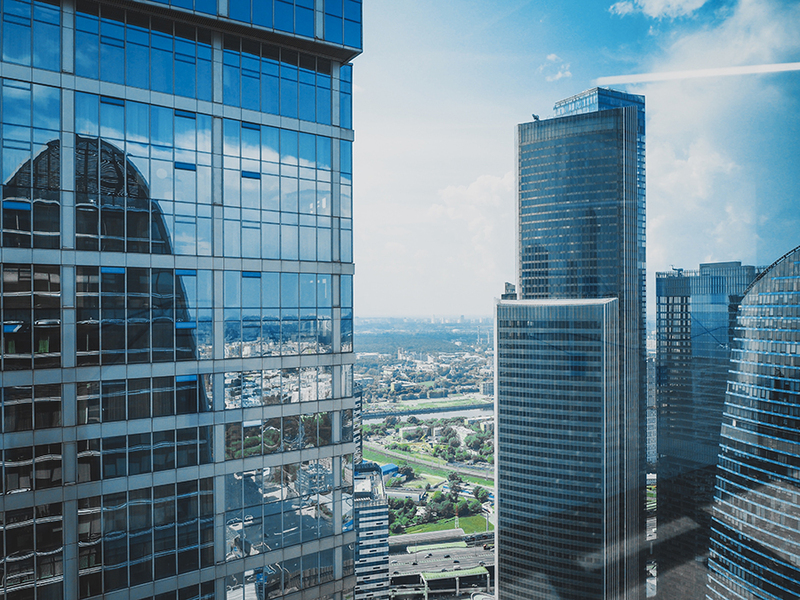 In-building wireless connectivity has a correlation with high retention rates, high occupancy rates and tenant satisfaction, for obvious reasons. Potential tenants may feel the responsibilities of repair and upkeep fall on the property owner, and while this is true, the quality of the building still affects your business. You might not have to contribute to the labor involved in maintenance, but drafty rooms, mold and odors can all impact employees' performance. Inefficient lighting and HVAC should be major concerns, as these issues can impact everything from health to energy costs. Energy efficiency, control and regular upkeep should be at the top of your list when you’re asking about a commercial space’s condition. There are bigger structural problems to think about, too. For example, tenants might suffer from a host of issues if leaks from a damaged roof compromise their workspace. Though roofs can last 20 years or more depending on materials and maintenance, older buildings could cause problems without proper care. Building problems translate to lost money for your business. Make sure you have a professional on board to check everything out before you sign your lease. A business owner must define the services their lease includes before signing it. It's ideal to get everything down in writing to avoid confusion and difficulties later on. These services range from basic utilities like electricity to the more easily overlooked subject of a cleaning crew. For example, tenants should know how often the crew will clean their workspace, which areas will receive attention and the person in charge of managing the details. These small points really matter, as business owners have to preserve the appearance of their office for both employees and clients. With real estate taxes and energy costs, owning and operating a commercial building requires a slow escalation of rent over time. As ownership costs gradually become more and more unpredictable, escalation clauses — a form of protection against fluctuating conditions — have grown in popularity. Business owners should look for these escalation clauses, especially if they're moving into a new building which might take a year or two to reach full capacity. In these situations, the owner won't have a stable history of operating costs they can use as a reasonable base — a small detail which could cause a dispute. Among other precautions to take before signing a lease, tenants rarely consider the property owner's financial situation. It's not something they'll often advertise, and while this is rational, it might lead to problems later on. A commercial building that goes into foreclosure could void a lease before it's finished. While this isn't necessarily a common situation, potential tenants should still ask to include a non-disturbance or "recognition" clause in their agreement. In doing so, they'll protect themselves against unforeseen issues. If there's pushback on this suggestion, it's a good sign the business owners should look elsewhere. Whether it's your first office space or you’re moving for the third time, a business owner should always check the details of their lease. You’ll avoid conflict and financial issues later on, which will end up being a win-win. After all, a satisfied tenant makes for a happy property owner, with fewer problems for both parties. Signing a commercial lease is no small commitment, and it's smart to speak up during negotiations if a clause — or the absence of one — is unappealing. But if the contract and the building itself are solid, there's no reason to hesitate. While caution is essential, business owners shouldn't let uncertainty hold them back. As long as you take time to assess the five suggestions above, you should feel confident in your decision and ready for your new commercial space.